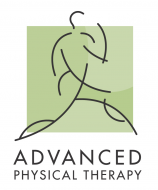 The staff of Advanced Physical Therapy has the common goal of providing high quality, state of the art treatment interventions to help facilitate clients’ progress toward their individual goals. Conveniently located on Cedar Ravine Road in the historic district of Placerville, this modern, charming building allows clients to rehabilitate in a peaceful, personalized setting. Raised in El Dorado County, Michael is pleased to return and to be providing comprehensive outpatient physical therapy services to the residents of the Placerville area. I received my bachelor’s degree from University of California, Davis and attended Mount St. Mary’s College in Los Angeles for his graduate studies. His physical therapy training emphasized extensive manual therapy techniques of the spine and the extremities. As a result, Michael’s treatments are centered on manual interventions in addition to personalized exercise prescription. In recognition of clinical and didactic excellence, Michael has been acknowledged by the American Physical Therapy Association as an Orthopedic Clinical Specialist (OCS), a title held by approximately four percent of physical therapists in the United States. The staff of Advanced Physical Therapy works diligently along side patients to help facilitate optimal functional recovery, but each individual’s health and physical therapy success is, in large part, based on their own decisions and work ethic. Therefore, we encourage all clients to become active participants in their rehabilitation and their general health decisions.